It's Saturday, 3/19/16 (Day 76). I am on the road early an on my way to Capital Reef NP, the 3rd National Park of the five in Utah. I have also been to this park last year. 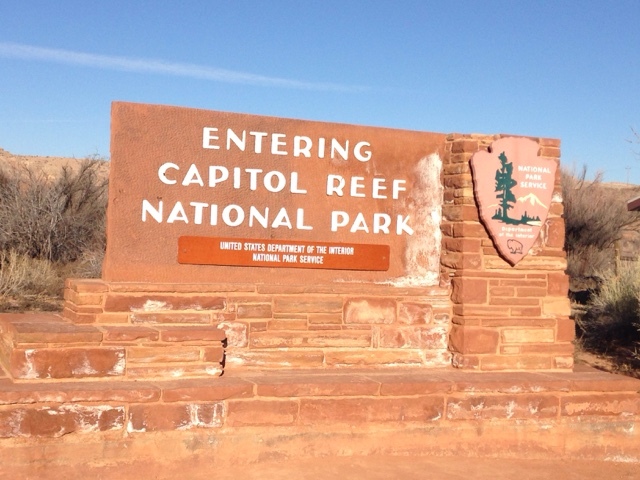 Like Canyonlands NP having a north and South Park so does Capitol Reef. I have not been to the South Park area and did not go there this year. 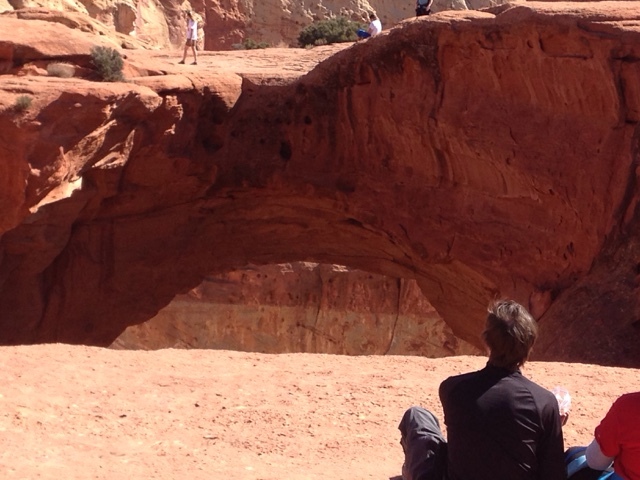 I like the hike at Capitol Reef to Casidy Arch. 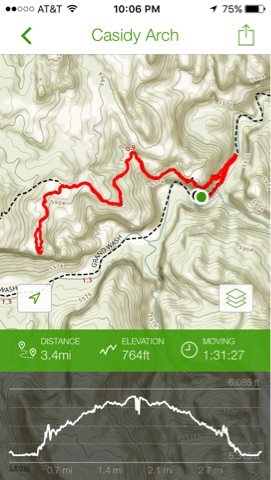 It is a great hike at 3.4 miles and 764 ft elevation. 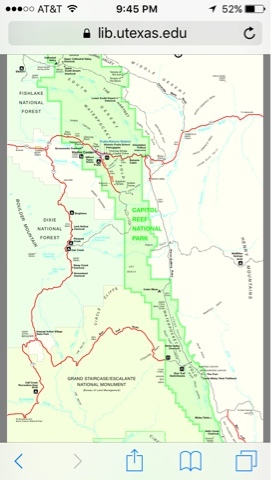 Once you are on top of the plateau there is a trail that heads back to the campgrounds. Above is the view of Casidy Archfrom the adjacent rim trail. This hike is not just my special pick here at Casidy Arch. There were some younger folks already up there when I got there. 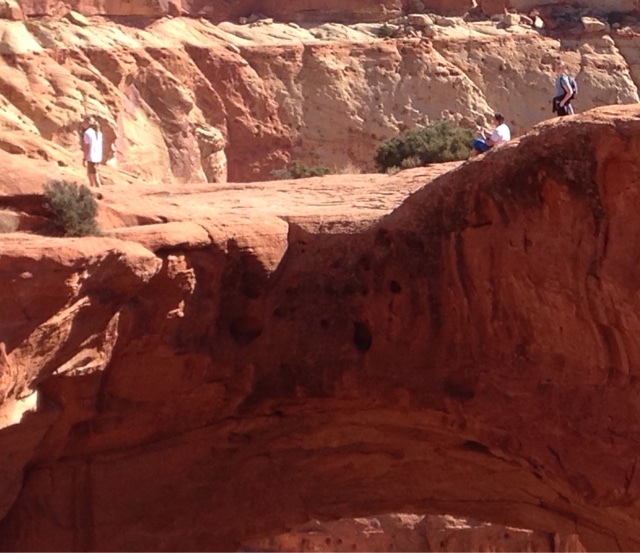 In the foreground you see some people sitting on the edge of the drop off and the roof of the arch further out. Not to my liking were these young people not just hanging out on the arch but they were doing handstands and other poses for pictures making me nervous. After the hike there was time for a ride on the scenic road that heads south from the visitors center. 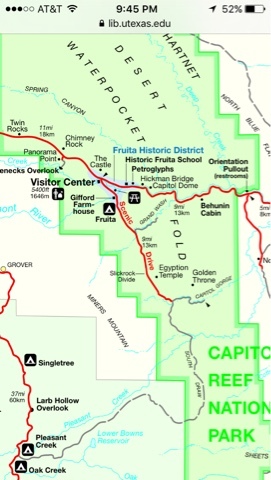 See map above. I went south as far as the rated road goes to the location of where the original settlers came up a narrow canyon with a wash that runs down the center.. I took my Prius down the dirt road that once was the main road but it was rough and I had to be careful in a number of places to not to bottom out. 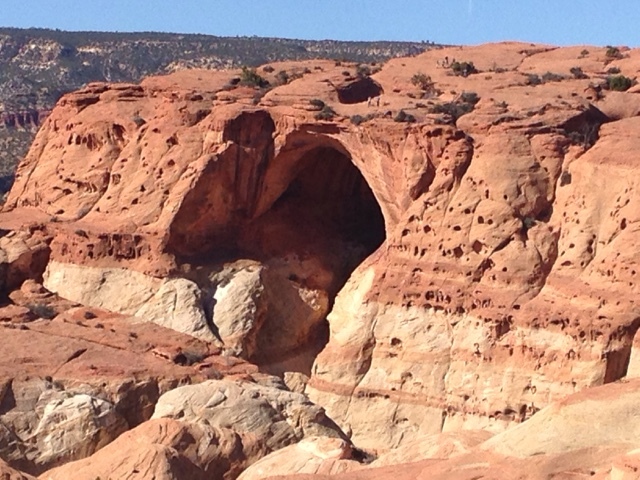 Capitol Reef NP is a bit out of the way and not very large or popular. I like it for this reason. Bit is said that if you stay there overnight you will have great star gazing as there are no towns close by.